There are no crescent and stars on the doors or walls of two holy mosques, except you see a crescent shape on the minarets. Is there any basis for taking the crescent or star as a symbol of the Muslims in Sharee’ah?, questions Dr.Fiaz Fazili. The crescent moon symbol of Islam is a remnant of ancient pagan moon worship. Muhammad grew up worshipping many pagan gods in the Kabah including the moon, either called Hubal and Allah. After his conversion to monotheism, through the influence of Christians, Muhammad stopped worshiping the moon. The same is true for all Muslims since, down to the present day. However, the crescent moon is the universal symbol of Islam. Muslims will argue that there is no archeological evidence for the crescent moon symbol being used in Islam for the first few centuries after Muhammad. “Sin.—The moon-god [occupied the chief place in the astral triad. Its other two members, Shamash the sun and Ishtar the planet Venus, were his children. Thus it was, in effect, from the night that light had emerged….In his physical aspect Sin—who was venerated at Ur under the name of Nannar—was an old man with along beard the color of lapis-lazuli. He normally wore a turban. Every evening he got into his barque—which to mortals appeared in the form of a brilliant crescent moon—and navigated the vast spaces of the nocturnal sky. Some people, however, believed that the luminous crescent was Sin’s weapon. But one day the crescent gave way to a disk which stood out in the sky like a gleaming crown. There could be no doubt that this was the god’s own crown; and then Sin was called “Lord of the Diadem”. These successive and regular transformations lent Sin a certain mystery. For this reason he was considered to be ‘He whose deep heart no god can penetrate’… Sin was also full of wisdom. At the end of every month the gods came to consult them and he made decisions for them…His wife was Ningal, ‘the great Lady’. He was the father not only of Shamash and Ishtar but also of a son Nusku, the god fire.” (Larousse Encyclopedia of Mythology, 1960, p 54-56). The worship of the Moon god “Sin” was widespread and common during the time of Abraham. Contrary to Muslim claims, Abraham was asked to leave Ur of the Chaldees where the moon god Sîn was worshipped and migrate to Canaan and worship Jehovah. The Sumerians, in the first literate civilization, left thousands of clay tablets describing their religious beliefs. As demonstrated by Sjöberg and Hall, the ancient Sumerians worshipped a moon-god who was called by many different names. The most popular names were Nanna, Suen, and Asimbabbar” (Mark Hall, A Study of the Sumerian Moon-god, Sin, PhD., 1985, University of Pennsylvania). 21 Then Zebah and Zalmunna said, Rise yourself and fall on us; for as the man is, so is his strength. And Gideon arose and slew Zebah and Zalmunna and took the [crescent-shaped] ornaments that were on their camels’ necks. at verse 5 it is made clear that Zebah and Zalmunna are “kings of Midian“. The crescents are ornaments commonly affixed to swords as ornaments. Usually associated with semitic peoples as well as the Arabs, the Midians “denotes also the nation of the Midianites, the plural form, occurring only in Gen. xxxvii. 28, 36 (in the latter passage seems to be a scribal error for ) and Num. xxv. 17, xxxi. 2. Their geographical situation is indicated as having been to the east of Palestine; Abraham sends the sons of his concubines, including Midian, eastward (Gen. xxv. 6). But from the statement that Moses led the flocks of Jethro, the priest of Midian, to Mount Horeb (Ex. iii. 1), it would appear that the Midianites dwelt in the Sinaitic Peninsula. Later, in the period of the Kings, Midian seems to have occupied a tract of land between Edom and Paran, on the way to Egypt (I Kings xi. 18). Midian is likewise described as in the vicinity of Moab: … It appears from the same account that the Midianites were rich in cattle and gold. The narrative shows that each of the five Midianite tribes was governed by its own king, but that all acted together against a common enemy; that while a part of each tribe dwelt in cities and fortresses in the vicinity of Moab, another part led a nomadic life, living in tents and apparently remote from the seat of the war. It may be noted that these five princes of Midian are called by Joshua (xiii. 21) the vassals of Sihon, the king of the Amorites. It is possible that Sihon had previously conquered Midian and made it a dependency, and that after his death the Midianites recovered their independence. The Israelitish soldiers set on fire all the cities and fortresses of the Midianites, carried the women and children into captivity, and seized their cattle and goods. The Israelites were afterward ordered by Moses to slay every Midianite male child and every woman, sparing only the female children (Num. xxxi. 2-18). It appears from the same account that the Midianites were rich in cattle and gold. The narrative shows that each of the five Midianite tribes was governed by its own king, but that all acted together against a common enemy; that while a part of each tribe dwelt in cities and fortresses in the vicinity of Moab, another part led a nomadic life, living in tents and apparently remote from the seat of the war. The first recorded instance of a Midianite tribe surrendering its identity by attaching itself to another people appears in Judges i. 16. In this instance, which occurred in the period of the Judges, the Kenites, descendants of Jethro the Midianite, attached themselves to the Israelites in the wilderness of Judah, south of Arad. Later, in the time of Tiglath-pileser (745-727 B.C. ), a tribe, called in the cuneiform inscriptions “Ḥayapa” and identified by Friedrich Delitzsch (“Wo Lag das Paradies?” p. 304) with the tribe of Ephah, is said to have dwelt in the northern part of the Hejaz. Isaiah (lx. 6) speaks of Midian and Ephah as of two distinct peoples. The second son of Midian, Epher, is identified by Knobel with the Ghifar, an Arabic tribe which, in the time of Mohammed, had encampments near Medina. Traces of the Midianites existed in post-Biblical times. Ptolemy (“Geography,” vi. 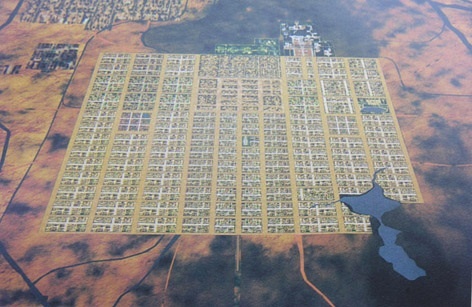 7) mentions a place called Modiana, on the coast of Arabia; according to his statement of its position, this place may be identified with the Madyan of the Arabic geographers, in the neighborhood of ‘Ain ‘Una, opposite the extremity of the Sinaitic Peninsula, and now known under the name of “Magha ‘ir Shu’aib” (= “the caves of Shu’aib” [“Jethro”]). “The Crescent Moon and Star (Sun during the Ottoman Empire) are ancient Turkish celestial symbols of power originating from the Turkish, ancestoral lands of Siberia and Central Asia. Its origins are not Arabic or Persian and it can not be Islamic due to the strict, religious doctrines forbidding the usage of any symbols or the painting/drawing/sculpting of human faces… these very important religious facts are disregarded today by those trying to claim the Moon & Star as their own today. Needless to say, the origins of the Crescent & Sun/star are in fact Turkish from ancient times, pre-Islamic. The Turks believed in Shamanism and more importantly the one supreme Sky God (Tanri) along side others gods like that of the Moon & Sun, when they roamed nomadically on horseback in the steppes of Siberia & central Asia. In the 10th century, the Turks accepted Islam on their own will and conquered the Middle East. Within a few centuries, the Turks became extremely powerful and stretched an empire from the gates of Vienna, Austria, Russia all the way to Spain in the west. They brought into Islam their own free spirit, dynamism, Turkish culture, superstitions and serious beliefs as well. This is the origin of how the Crescent Moon & Star came into the Islamic world. The crescent moon is without ambiguity a Turkish symbol, and the Turkish connection is established in the article “Burying the crescent moon / moon god nonsense once and for all..” article which is also useful for its gallery photo montage of moon and star iconography across many cultures. Mother Umay or Mother Moon was the greatest goddess to the Turks shaman after the sky-god. The Mongols called her as Uma Khatun. In their matriarchal period, she was the goddess who depicted all good habits and helpfulness, protected babies, pregnant women and animals as the symbol of fertility and abundance. Her origins come from the Moon goddess belief, so her Icon is the moon, and she was also known as mother moon. Umay helped mothers during the birth and she protected the babies. The people believed that Mother Umay protected every baby, for the first three days after birth. Whenever a child began to cry, it was considered that Umay has left them. To protect babies from evil spirits families attached magical objects on the cradles. 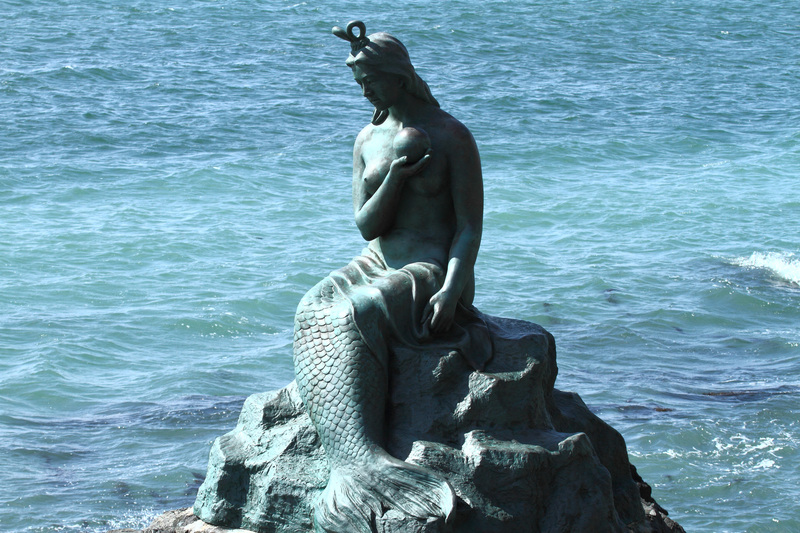 Umay was a goddess who could transfer private and divine powers to people. She lived in the sky and spread her power from the sky to the world. Her light would penetrate people and remain inside them until death as a spark. The people took the power of life from this spark and when this power began to fade it was understood, that it was the waning of the light of the spark and approach of death. When the Turks adopted Islam, they combined the traditions of Shamanism into Islam, so that the old traditions would be kept. The most powerful shamans were called the khatuns, who were female. They would treat the wounded soldiers in war and were the healers of the Turks. This old tradition continued as the Turkmens and Yuruks adopted Islam by converting the concept and doctrines of Mother Umay into Mother Fatima for compatibility with Islam. When the Turks settled in Anatolia with their combined Islamic and mother goddess beliefs it was easy for them to understand the local beliefs, which had been bestowed on the Virgin Mary and adapt all three into their local religion and faith. So that now Fatima has been adopted as a loved and respected mother goddess in Anatolia. Where Turkish women continue to associate healing with the hand of Fatima. This universal format of faith and understanding has inspired the great thinkers of Anatolian Islam. The goddess gene in mothers shows itself in their behavior. When treating children on the one hand, they croon sacred words on the other hand and say that it is not my hand; it is the hand of Fatima. The same magic words are repeated before working or preparing a meal so that the work may be fertile and easy or the meals will be delicious in the hope that her divinity will eliminate our defects and our mortality. Healing and the blessed hand of Fatima are always in the minds and hearts of women in Anatolia as Hazard Fatima is the architect of their beliefs. Therefore, Anatolian Muslims respect and love the Virgin Mary just as Christians do, due to this very strong historical and cultural heritage. Hazard Fatima has the same status with the Virgin Mary for the Muslims of Anatolia. The goddess culture, which comes from the matriarchal period, has been continued through to today, by evolving and blending its existence into the more modern religions of today. Indeed the Virgin Mary’s house in Ephesus, which is the place of pilgrimage for Christians, was established on a hill overlooking to the temple of Artemis, which was not a coincidence. The Virgin Mary’s house is also a sacred place for the Muslims of Anatolia. Muslims visit the house, to worship, make votive offerings, make wishes and ask for healing. “The Single Horn, or Tusk, both singly, or as p. 82 a pendant to another Talisman, as Illustration No. 106, Plate VIII, in all probability had its origin in the double horns, or Crescent, of Isis. It was worn to protect from harm, danger, and the evil influences of enemies, and also as a powerful charm to attract good fortune and success. The Horn, being a symbol of Isis, was considered a powerful charm to which to attach the keys of stables and cowsheds, ensuring the safety of the cattle and their protection from the evil spirits of the night, a practice that has been followed from remote ages to the present day, although its origin is not generally known amongst its modern users. Additionally, Máni is followed through the heavens by the brother and sister children Hjúki and Bil “as can be seen from the earth”, whom he took from the earth while they fetched water from a well. In chapter 51, High foretells the events of Ragnarök, including that Máni will be consumed by one of two wolves chasing the heavenly bodies. In the Prose Edda book Skáldskaparmál, Sól is referred to in chapter 26 as “sister of Máni”. The 28 Moon Lodges or 28 Lunar Mansions (as they are often called in English) are divided into four clusters, with each cluster made up of seven constellations. The four clusters represent the four cardinal directions (north, south, east, west). Each cluster is associated with one of China’s Four Celestial Emblems Guarding the Four Cardinal Directions (black turtle, red bird, blue dragon, white tiger), a Buddhist guardian deity (the Four Heavenly Kings Guarding the Four Compass Directions), a season, a color, and numerous other attributes. These associations and attributes are presented below. In Japan, the 28 deities of the 28 moon lodges are often represented in the Big Dipper Mandala (Hokuto Mandara 北斗曼荼羅) and Star Mandala (Hoshi Mandara 星曼荼羅) of Japan’s esoteric sects. 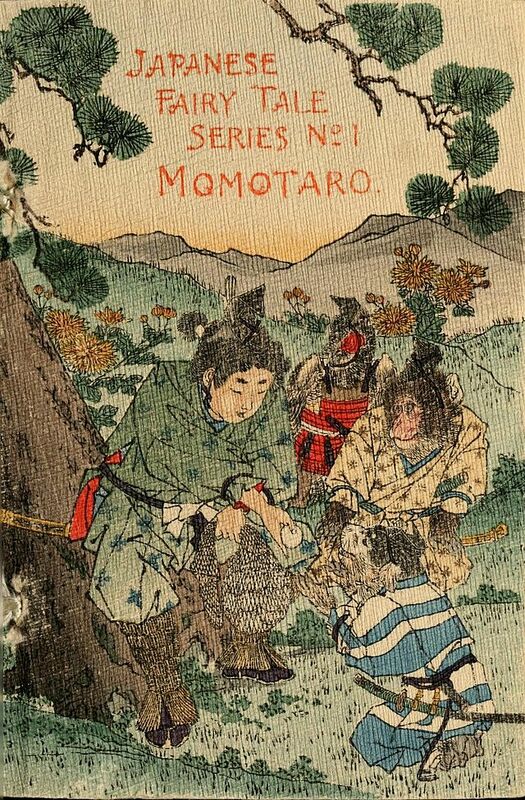 However, prior to the development of this sophisticated system of astrological knowledge, it is suggested here that the earlier above-mentioned astrological lore and symbolism of the crescent moon of the in Middle-Eastern, the Indian subcontinent, and Scythian-Turk-Siberian-Mongols had in fact also filtered into Japan along with the waves of migrations of peoples from North, Northeast Asia as well as India. The Indo-Saka/Wusun/Ashina wolf-totem-associated clans and their descendants may have been responsible for introducing these moon-related beliefs into Japan. 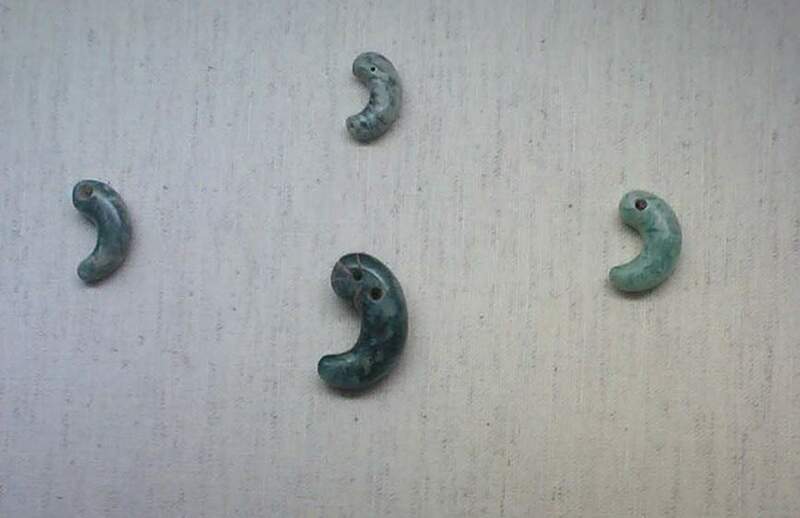 Crescent symbolism is perhaps obvious in the jade or jasper tamashi-bead amulet crescent-comma-or-claw-shaped ornaments and offerings to deities that were seen in graves or tombs from Jomon through the Kofun periods. The tama (jewel /gemstone***) or tamashii are believed to be a soul depository or soul, and there is a proverb “Kagami onna to tamashii” … “A mirror is the soul of a woman” (see Yasuna’s Legend in Japanese Art) which presumably suggests why mirrors were frequently the grave goods of shamanic rulers. Since the magatama pendant ornaments and amulets originate during Jomon era, the origin of the practice must lie with the earliest waves of migratory peoples into Japan. Y-DNA haplogroup C and D are believed to have been the earliest colonizers of South East Asia and East Asia (Wang and Li 2013). A Sinic term that refers to the soul. In ancient China kon was related to yang (of yin-yang dualism) and to the dimension of mental activity, while haku was related to yin and the somatic, physiological dimension. Thus, the soul had a two-layered structure. Accordingly, when a person died it was believed that these two components returned respectively to the heavens and the earth. Concerning their relationship to the Japanese conception of soul (tama), the kon (tamashii) of konpaku was indicated as corresponding to it. This was according to an interpretation of chinkon (pacifying spirits, see chinkonsai) found in the regulations dealing with personnel (shokuinryō) in the article for Shintō administration (jingikan jō) of the ritsuryō legal code, which was revised in the first half of the eighth century. On the other hand, konpaku was used as another term for mitama in a tenth century work called the Wamyōruijūshō. Subsequently, other interpretations were also offered, such as konpaku being the combined spirit of blessing (sakimitama) and the spirit of auspiciousness (kushimitama). Alternatively or in addition to the above, the Japanese tamashi might also be cognate with the also similar-sounding Indian Brahma Kumaris(origin: India) and Sikkh word, atma for soul, believed to be life-sustaining spiritual light or “spiritual spark”, and in the former, to reside in the forehead of the occupied bodies (see Wikipedia article). Archaeological photo gallery of the Arabian moon god. Zhong H, Shi H, Qi XB, et al. (July 2010). “Global distribution of Y-chromosome haplogroup C-M130 reveals the prehistoric migration routes of African exodus and early settlement in East Asia“. J. Hum. Genet. 55 (7): 428–35. doi:10.1038/jhg.2010.40. PMID 20448651.